The Catholicos derived from Greek word Katholikos means The Universal or General. The title seems to have arisen sometime after the establishment of five patriarchs (of Rome, Constantinople, Alexandria, Antioch and Jerusalem). The Catholicos of the East is the title of the autonomous Primate of the East whose succession is that of St. Thomas the apostle, and who has a spiritual primacy of honor over all churches of the east. He is the supreme head of the Indian Orthodox Church and He is called the Catholicos of the East and Malankara Metropolitan. Two titles for a single individual are given with separate responsibilities. The Catholicos of the East consecrates Bishops for the Orthodox Church of the East, presides over the Episcopal Synod, declares its decisions and implements them, conducts administration as the representative of the Synod and consecrates the Holy Mooron (Oil). 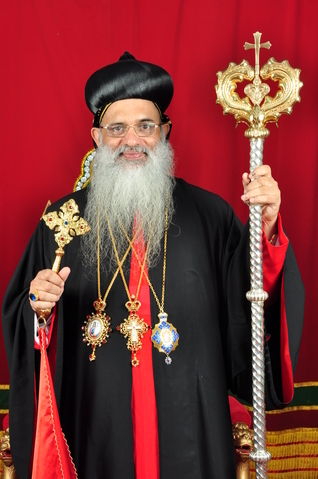 The Malankara Metropolitan is the head of the Malankara Archdiocese, the President of the Malankara Syrian Christian Association and the Managing Committee. The Prime Jurisdiction regarding the temporal ecclesiastical and spiritual administration of the Malankara Church is vested in the Malankara Metropolitan subject to the provisions of the Church constitution. Catholicate of the East was re-located from Persia, and established in India by H.H. Abdul Messiah, the Patriarch of Antioch in 1912, when H.H. Baselious Paulose I was ordained as the first Catholicos of the Indian Orthodox Church, at St. Marys Orthodox Syrian Church, Niranam (Niranam Valiyapally). The present Catholicos is His Holiness Catholicos Baselios Mar Thoma Paulos II Catholicos of the East and Malankara Metropolitan. 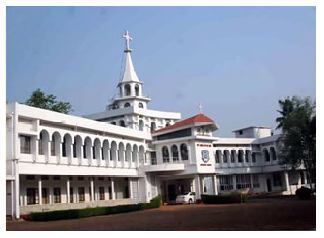 The Headquarters of the Indian Orthodox Church, named Devalokam is located at Kottayam, in Kerala. It is the official headquarters of the Catholicos of The East who reigns on the Honorary Throne of St. Thomas, the Apostle, and was established on 31 December 1951. The Chapel next to the Aramana built in 1953 was primarily the efforts of the women folks of the Malankara Orthodox Church. The construction of the Holy Altar was completed on 15 August 1956 and the Catholicate Office built in 1957 was consecrated on 22 April 1957.The new Aramana which was built in 1961 was inaugurated by the visiting Armenian Catholicos Vazgen I. A burial place for the interment of the Holy Fathers was constructed next to the Aramana by Baselios Ougen I Catholicos. An auditorium and an administrative Block were also constructed close to the Aramana. The Office of the Catholicos, the Office of the Holy Synod, Kottayam Central Diocesan Office, Malankara Corporate Management Office, Sunday School Office, Malankara Sabha Magazine Office, Catholicate Press, M.O.C Publication Office etc are also at the head quarters. The mortal remains of Baselious Geevarghese II, Baselious Augen I and Baselious Marthoma Mathews I are entombed in the Catholicate Chapel. A portion of the holy relics of St. Thomas, the Apostle of India and Founder of the Church, is also kept in the chapel.